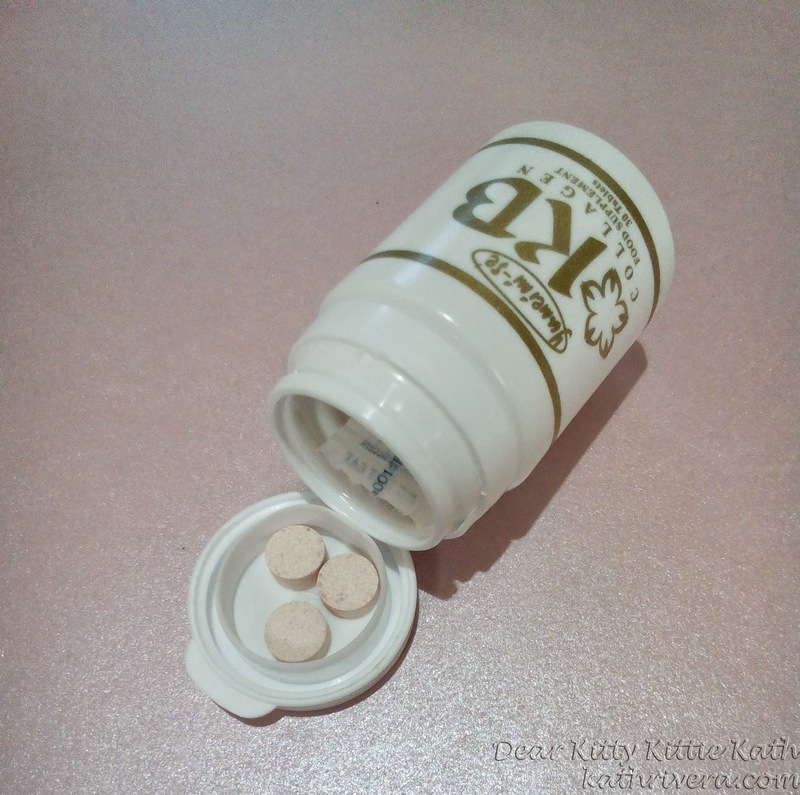 Aside from skin whitening pills, anti-aging supplements are becoming more and more popular here in our country. In search for the so-called fountain of youth, women ages 30 years old and above have been resorting to skin care products that nourishes the aging skin from the outside. Even though anti-aging pills are popular nowadays, some are still afraid of ingesting what they consider foreign inside their body. Collagen helps to give strength to various structures of the body and also protects structures like the skin by preventing absorption and spreading of pathogenic substances, environmental toxins, micro - organisms and cancerous cells. Collagen protein is the cement that holds everything together. Collagen is the major component of the skin, hair, and nails. With age, collagen production slows and the cells structures weaken. The skin gets thinner and is easier to damage, hair gets lifeless, skin sags and wrinkles, tendons and ligaments become less elastic, joints get stiff etc. So in order for aging skin to maintain its moisture and avoid shrinkage and wrinkles, it becomes necessary to look for substitute of self-generated collagen found in supplements that generally comes from animal tendons and deep sea fish. I may not be able to explain everything about collagen because one post will not be enough. 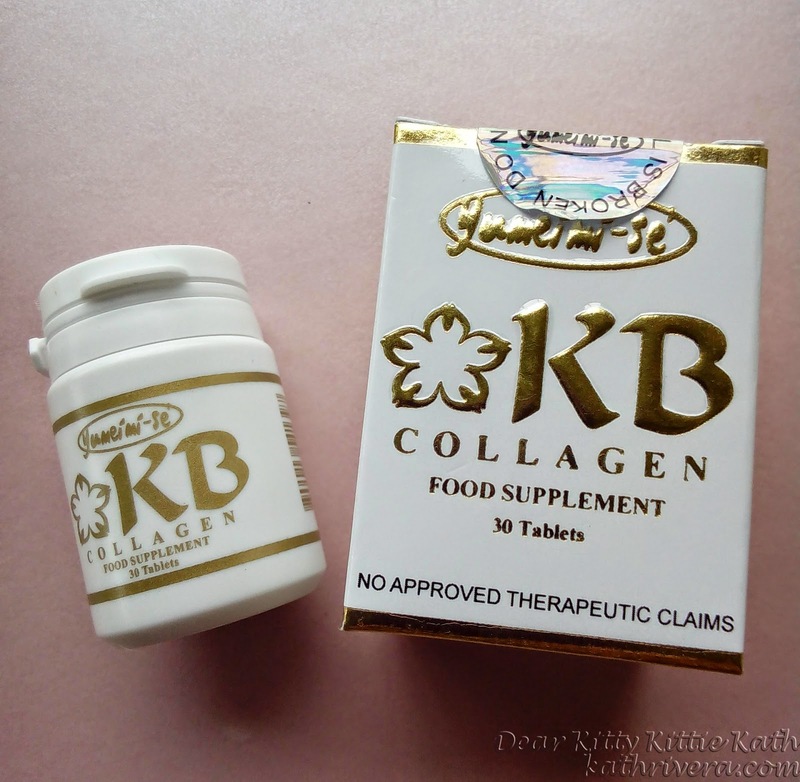 To make a long introduction short, our friends from Yumei-mise, the makers of KB Skin Whitening Line of products sent me their KB Collagen Food Supplement for a review. Here's my honest to goodness review about the product, click CONTINUE READING to know more information. KB Collagen is a powerful combination of Collagen Peptide to replenish diminishing collagen to prevent wrinkle formation and saggy skin. Silk Peptide Pearl, Pearl Coix Extract are added to revitalize the skin for a fairer complexion with a pinkish glow. Infused with Vitamin E to combat aging skin. KB Collagen is a complete skin renewal system. 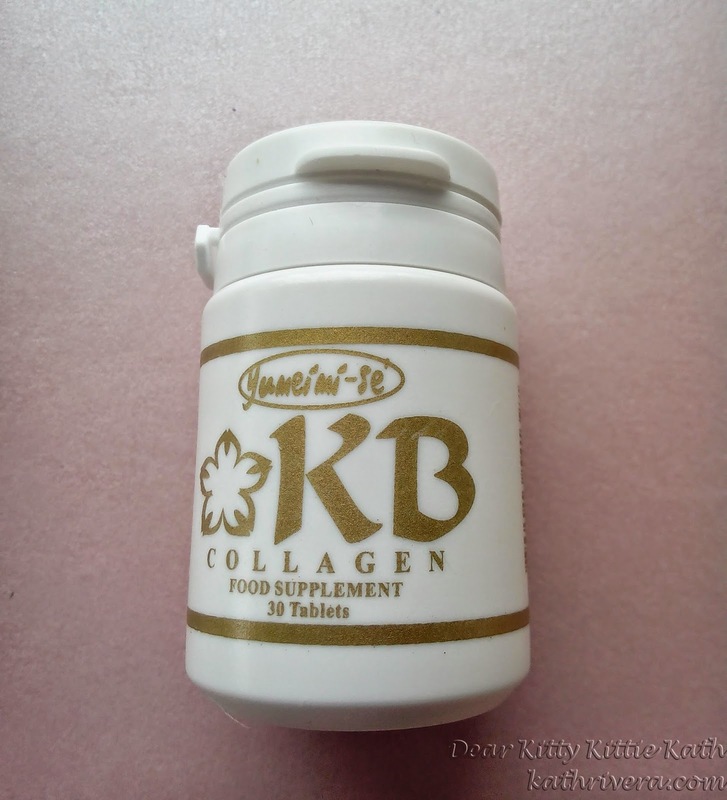 Experience total revitalization with KB Collagen as it brings you the most complete renewal packed in tablet form. It contains Fish Collagen to replenish stored collagen the body begins to lose at the age of 20. Collagen is important in maintaining skin health as well as structural integrity of joint cartilage. The Cartilage extract blended into the KB Collagen helps relieve swollen joints and heal the body naturally. The Silk Peptide Pearl Powder and Pearl Coix Extract work to complement the Fish Collagen in revitalizing the skin and give it a natural fair and pinkish glow. CoQ10 is included in the blend to help maintain a healthy cardiovascular system. Vitamin E is added to provide anti-aging qualities. Swallow Nest Extract and Vitamin C complete the formulation to help strengthen immune system. ingredients: Fish Collagen Peptide 200 mg, Vitamin C 40 mg, Cartilage Extract 20 mg, Pearl Coix Extract 20 mg, Silk Peptide 10 mg, Vitamin E 8 mg, CoQ10 4 mg, Swallow Nest Extract (Bird Nest Extract) 2 mg, Pearl Powder 0.6 mg, Dextrin, Cellulose, Stearic Acid, Calcium, HPC. According to what I've read, the recommended daily intake of collagen should be around 3,000-5,000 mg a day. 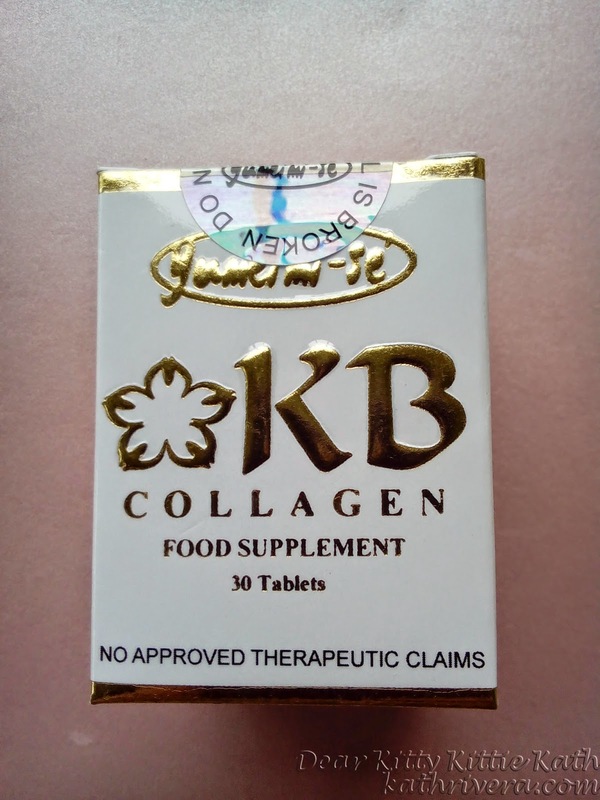 I decided to take 3 tablets/day of KB Collagen. This small bottle lasted for 10 days only. If I'll do the math, I was ingesting 600 mg a day of fish collagen peptide and the other ingredients will also be tripled in number. I must admit that I had a love-hate relationship with the product and more of my observations will be seen below. The tiny tablet is easy to swallow. There's no funky odor/scent coming from the tablet. According to my research, some collagen supplements may smell fishy. Aside from the fish collagen extract, one tablet also contains other skin beautifying ingredients like what I mentioned from the list of ingredients above. I noticed less hair fall while shampooing, combing and washing my hair. My sister noticed that my thighs are less dry than what she saw last month. After 5 days of taking the supplement, I wake up with face less oily and less tired looking. The price- I find it a little steep considering the amount of collagen in one tablet. One bottle lasted me only for 10 days and the 3 tablets per day doesn't meet the required daily intake of collagen supplement if I really want to achieve smooth and younger looking skin. I give this a 4/5 rating. Yes, I find the supplement effective in the hair and nails department but a bit steep for a cheapskate like me. To do the math: 1 bottle would cost around 750 php, 75 php a day for 10 days I wasn't able to see the maximum effect of the product because a bottle only lasted for 10 days. I guess in order to see the effects of any kind of supplements, it should be taken for at least a month up to three months. In my experience, the tablets are best taken first thing in the morning. Again, the results that I experienced is based on my own. It is always best to consult a medical professional if you have any special allergy. If you experience any abnormality stop taking immediately. Keep out of reach children. Start consuming the product after opening container. By using natural ingredients, some tablets may have a slight normal difference in color. Have you tried taking collagen supplements? Share your experience on the comment section below if you have tried this product. I would love to hear your thoughts too! DISCLAIMER: This product was sent to me by Yumeimi-se for a review. The thoughts expressed here are my honest opinion about the product. KB Collagen tablet can really keep those wrinkles away. You just have to ensure the product is right for you. I've never used any product similar to this so I really can't compare it with anything. But if it's this pricey, I wouldn't really consider it either. I have always loved their products - though I haven't tried their supplements yet. Seems a good one to give a try soon as I love supplements and anything that enhances beauty and health. is this more effective than glutathione ? 10 days only and 3 tabs a day? Yeah a bit too steep to invest on. But then again, what's the price range of collagen tabs nowadays? I am curious about this since I've heard so mucb about this.. Great review! I'm not a fan about any supplement intake for skin. But I think it is somehow reliable. There is a promo everyone if you are a reseller of asianskymall or get the membership package worth of 3600 consist of kb gluta plus kb rosehips and 3 bottles of kb collagen the next time you purchase po you can get the 3 bottles for 1500 less 20%. So from market price of 750 to 400 pesos per bottle ang saya di ba! Hi saan available yan price na ganyan? Is it okay for pregnant woman to rkae collagen supplement? Sa akin may reaction nagpalpitate ako tas nahihilo.